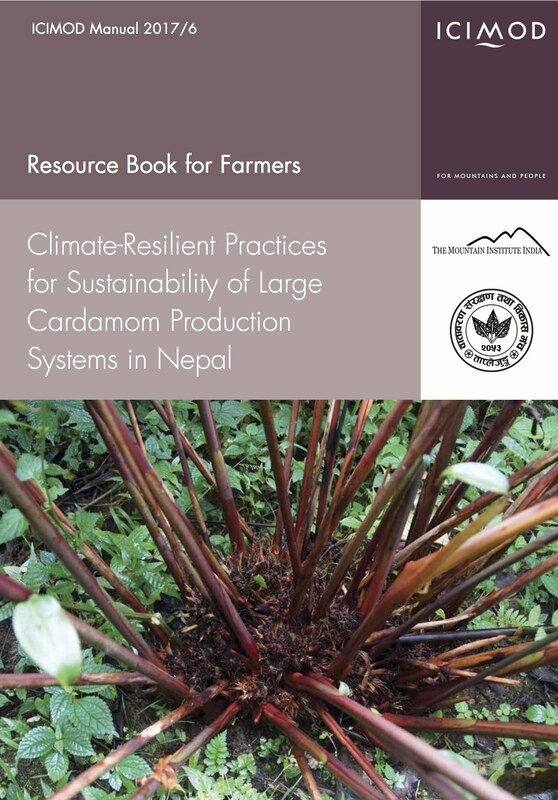 This Farmers Resource Book is based on a series of field consultations with large cardamom growers, field observations, focus group discussions, and surveys conducted in the large cardamom farming areas of Sikkim and the Kalimpong region of West Bengal, India and Taplejung District, Nepal. A large amount of available literature was reviewed to relate and validate the information. This Farmers Resource Book is a ready‐made guide for large cardamom farmers to learn, share, and exchange knowledge and experiences for reviving and expanding large cardamom cultivation in Nepal and elsewhere. It is envisaged that the cultivation of large cardamom, adopting appropriate climate-resilient practices and management procedures, will bring a significant change in the sustainability of agro ecologically sound large cardamom-based traditional farming systems. This change will contribute immensely to the improvement of livelihoods of the marginal farmers in Nepal and in other countries where large cardamom is growing.